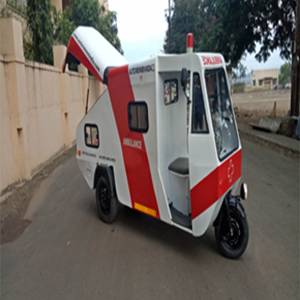 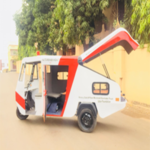 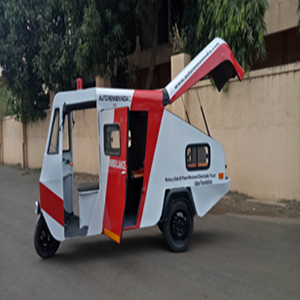 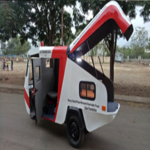 E-ambulance is a battery operated vehicle which works on battery supply, equipped with all first aid medical equipments. 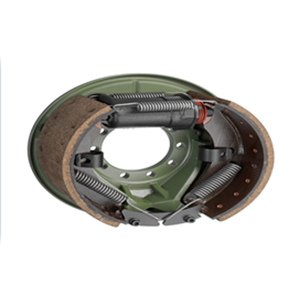 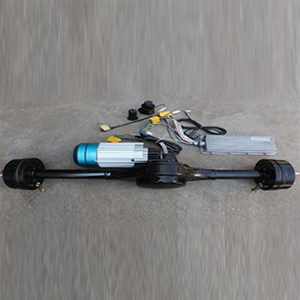 Its compact vehicle which can pass through 3 feet of width. 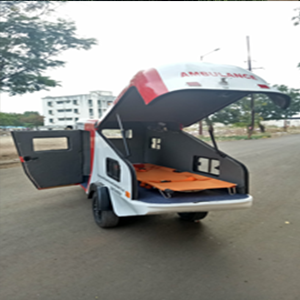 Ambulance handling is with handle, can be throttle with grip and brake by foot operated pedals. 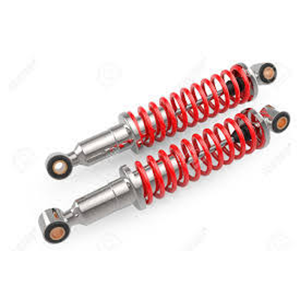 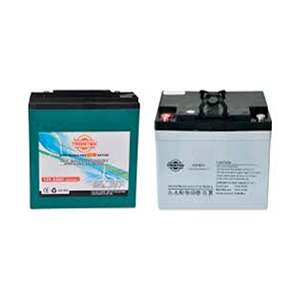 Its eco-friendly and ultimately no pollution.